Tributes have been paid following the death of a Blackpool businessman and charity volunteer. 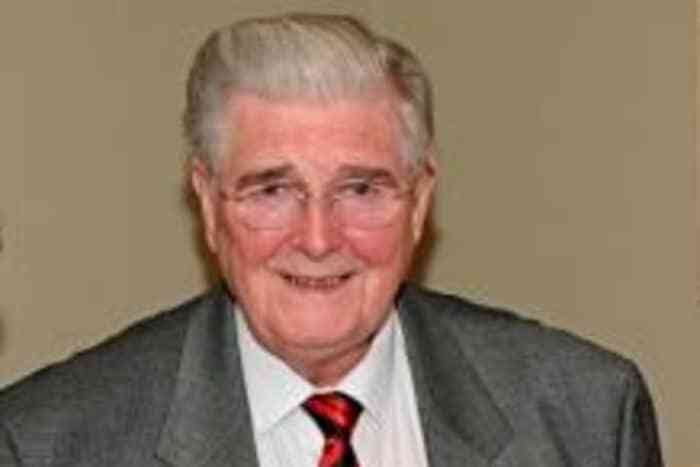 Keith Gledhill MBE, 86, passed away at his home on October 7, only a few weeks after his wife Margaret passed away. The businessman from Marton founded the cylinder manufacturing company Gledhill in 1972, along with his brother Houghton and was known for his work at N-Vision, Blackpool, Fylde and Wyre Society for the Blind. A spokesman for N-Vision described him as “one of the greatest champions” the society has ever known. They said: “It is with real sadness we report the death of Mr Gledhill, a little less than a month after the love of his life, his beloved wife Margaret, passed away. He was an honourable and thoroughly decent man. “A leading public figure, for many years Keith was a guiding light of this charity and the man behind so many of the big name interviews granted to the Talking Newspaper, or, more specifically, him. “Our thoughts are with this lovely couple’s family and wide circle of friends.” Gordon Marsden, MP for Blackpool South said: “I am sad to hear the of deaths of Keith Gledhill and his wife Margaret , whom latterly he cared for with great devotion. I’ve known him for 20 years and although our politics were different we always got on. He often asked my views on Blackpool issues and Westminster and he was force for good through his charity work & entrepreneurship. In 1972, Keith set up his business in the premises his father had previously used for manufacturing copper cylinders. As trading increased, they had to move their operation to a site next to Blackpool Airport, where the head office and stainless steel production centre is today. The company was acquired by Groupe Atlantic in 2015 but still uses the Gledhill name.